1) I LOVE music! And I want to share the good stuff with all of you! There are so many awesome new artists coming out and I want you to enjoy them too! 2) Melinda Mae Handbags has been on a bit of break since my move. 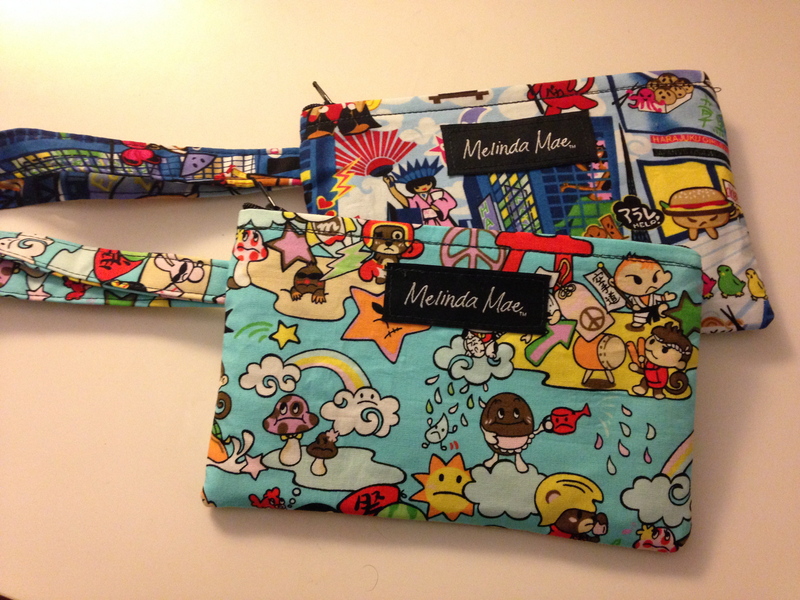 It has not completely shutdown since I still do orders for customers that email directly at info@melinda-mae.com and I also have some bags selling at Modern Mouse in Alameda, California. I also have been doing some wedding orders for those of you looking for custom handbags for bridesmaids. So I want all of you that Melinda Mae Handbags is still around. 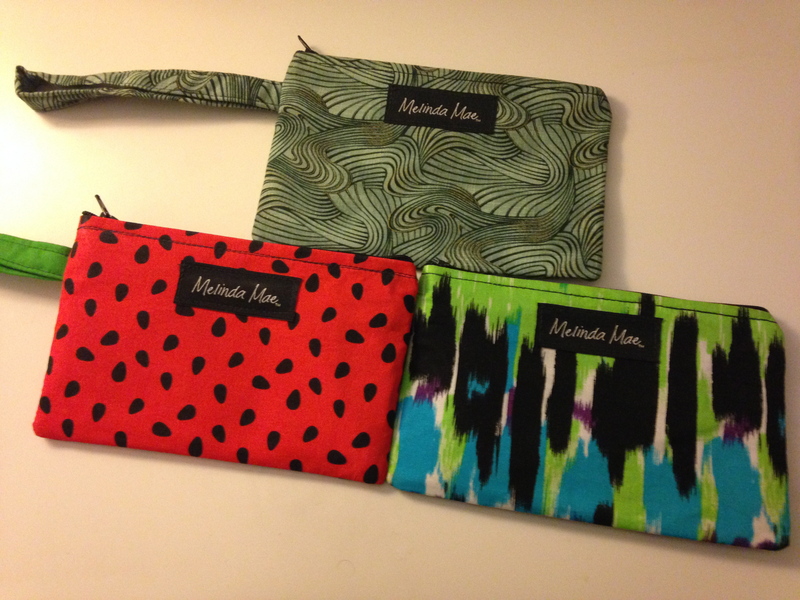 In fact, I am prepping a new order to go out to Modern Mouse this week, full of wristlets and clutches! 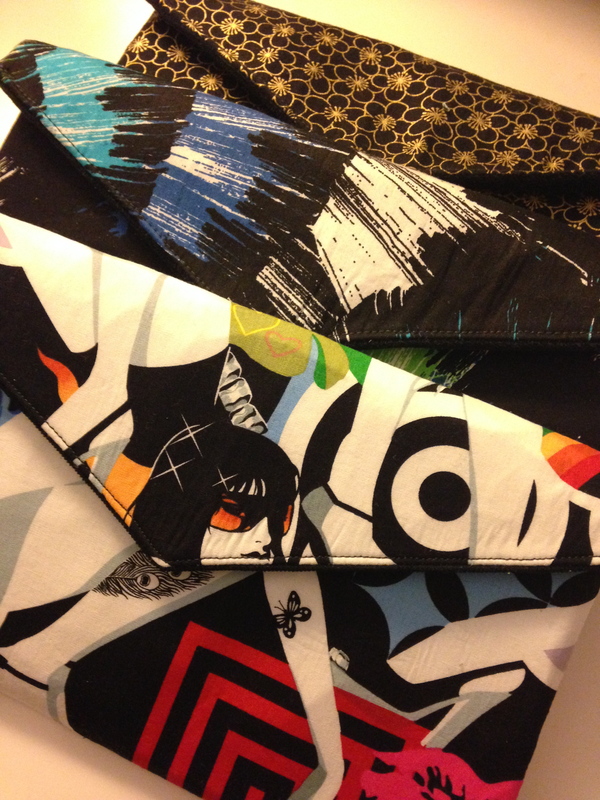 Here is a preview of what will be going out so if you like, stop by Modern Mouse in Alameda! What do you think of these?